GearTunes.com :|: Heads Two Notes Torpedo C.A.B. The Torpedo C.A.B. is a high-end cabinet simulator in a stompbox format. It is not a loadbox, but it does include all the great features of the Torpedo Live, together with an input stage specifically tailored to accept pedal-level signals. Most notably: the Torpedo C.A.B. 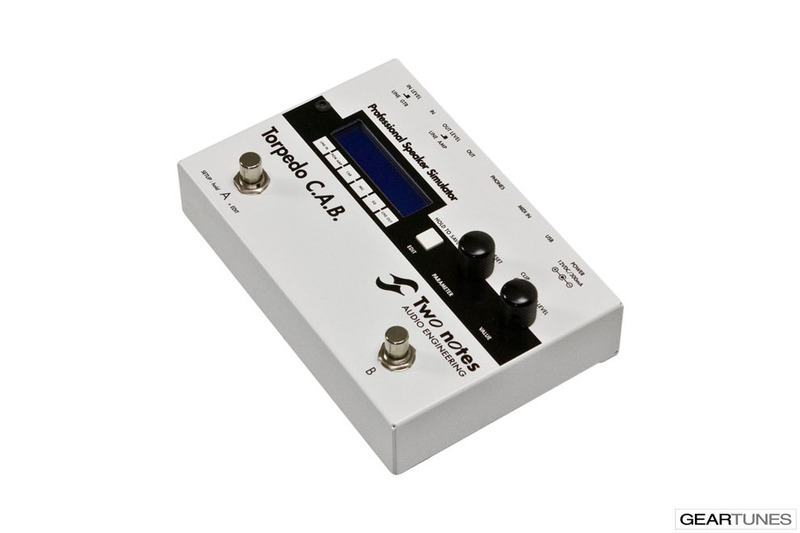 is the very first stompbox-style Impulse-Response Loader! The Torpedo C.A.B. features 2 user-assignable footswitches. 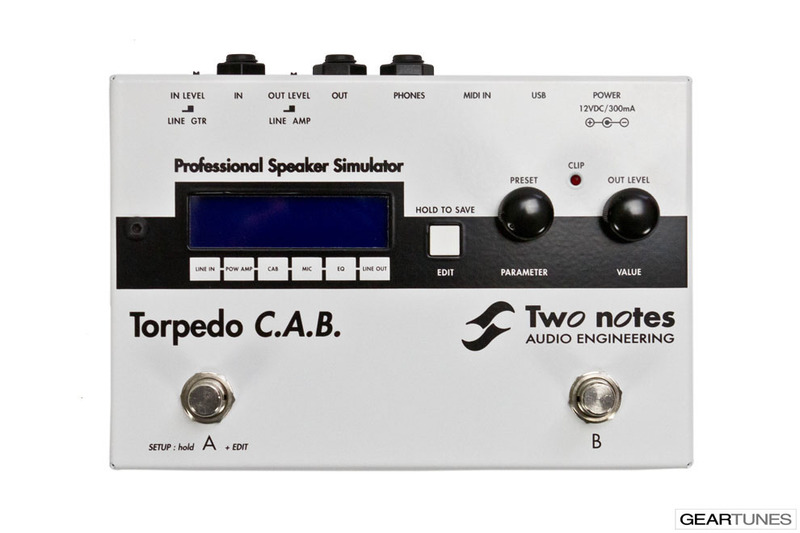 Assignable functions include Preset selection, Bypass, Mute, EQ On/Off and more… Musicians equipped with MIDI rigs will be able to remote-control the Torpedo C.A.B. via MIDI. 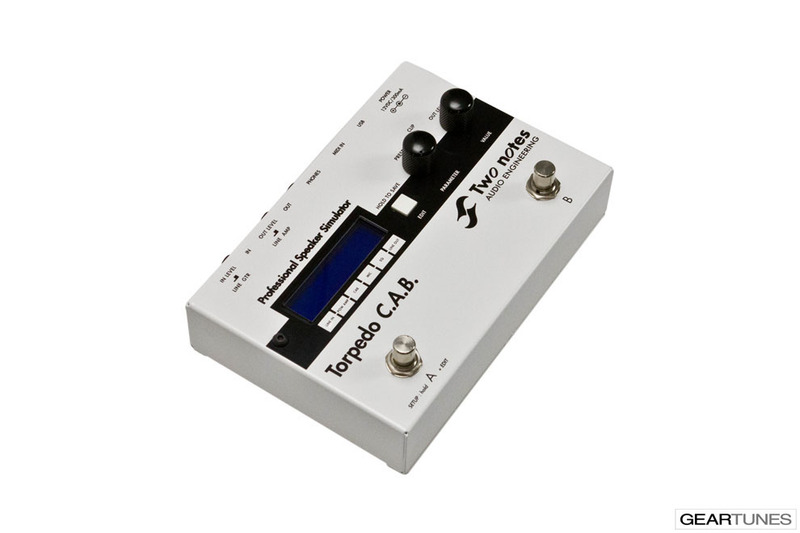 We know you love those little effects stompboxes and we definitely want you to use them with our Torpedo C.A.B. Place it at the end of your effect chain and all need to carry your amp will be gone. Plug it into the PA and you will be ready to go with a great sound. Many parameters influence the sound of your guitar or bass rig when it comes to recording. Carefully selecting your cabinet and miking options will dramatically improve the sound of your takes. 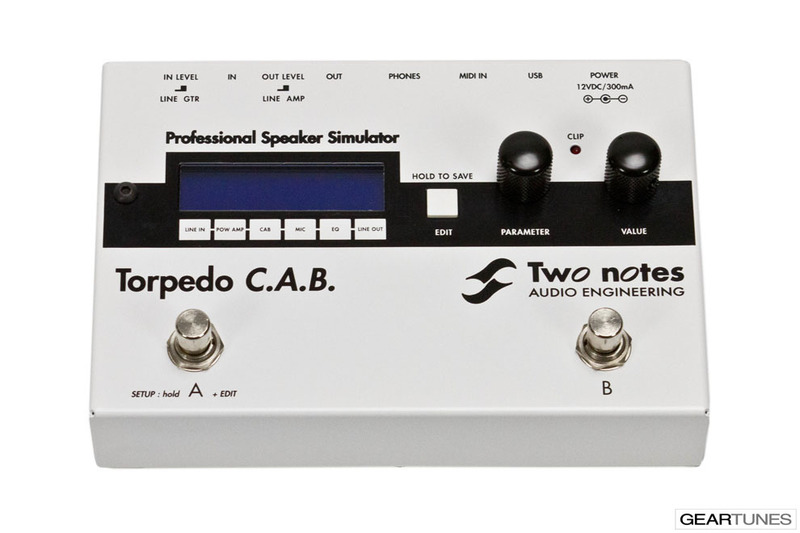 The Torpedo simulation reproduces the tiniest variations of a cabinet’s behavior such as frequency response and distortion (*). Move the microphone in the virtual studio room thanks to the Torpedo IR synthesis, control the phase with the Variphi (*) — all the settings you need to achieve great recordings are here. The best simulation is nothing without a perfectly designed analog and digital circuit. Two Notes focuses on the whole signal chain, from your amp or preamp output to the PA, monitor, headphones, or recorder to guarantee the best performance. Guitar and bass players deserve studio-quality gear! 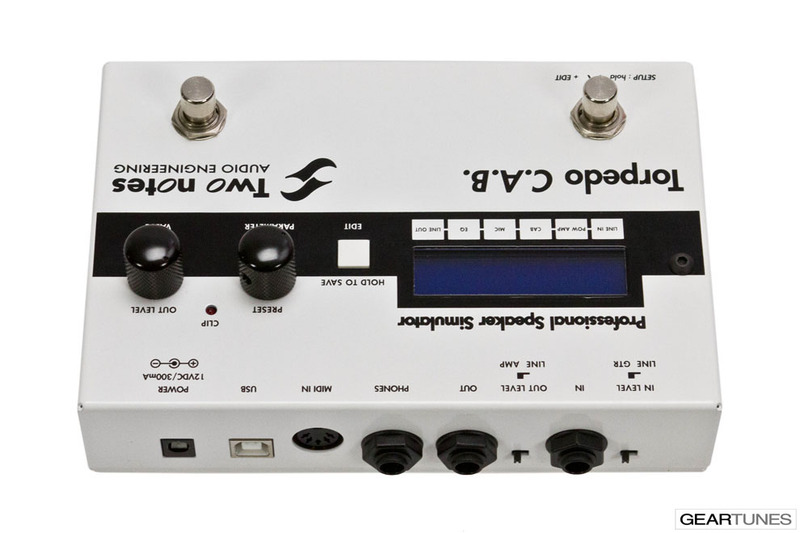 Connect your preamp or stompbox to your Torpedo Live, C.A.B., or PI-101. They embed our component-based tube power amp simulation. Simply choose the amp design and characteristics, and select the tube type.